Most of my reading has been on line since September, but no more. Instead of picking up my mobile device when I wake, I read at least 25 pages in a book. It is a positive development, born of new habits, in the land of apparent madness Iowa has become since the general election. I’m reading articles on paper as well. A tall stack of newsletters and magazines rests on the cocktail table next to the couch. I know many of the authors who write for Via Pacis, The Prairie Progressive, Voices for Creative Nonviolence, Veterans for Peace, The Sower, Humanities Iowa, The Iowa Policy Project, and others. Brian Terrell reported on his recent trip to Russia. Kathy Kelly about her work in Afghanistan. 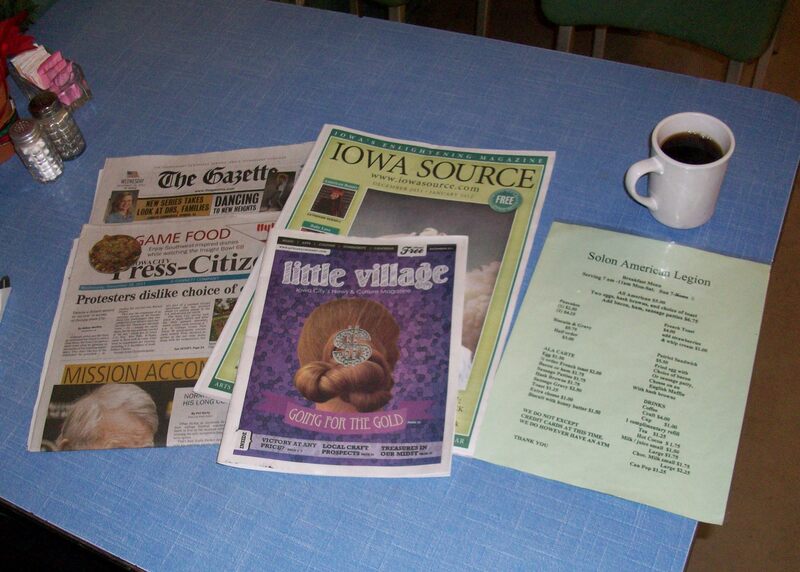 Frank Cordaro reported on activities at the Des Moines Catholic Worker. Jessica Reznicek wrote an article from the Sarpy County Jail in Papillion, Neb. explaining why she vandalized the Northrup Grumman property in Bellevue, Neb., home of the STRATCOM. Veterans for Peace chapter reports from around the country laid out a broad veterans agenda exposing the true costs of war and militarism. Mike Owen, Trish Nelson, Jeff Cox, Nate Willems, and many others offered insights enhanced by our history together. Newsletter writing provides a perspective unavailable in corporate news outlets. I welcome it and want more. It was impossible to resist being drawn into the social media drama around the president’s executive orders, proclamations and memoranda during his first week in office. 45 has gotten the attention of almost everyone I know, engaging new people in the political process. To be fluent in society one has to read related documents as well. Some say I was grumpy last week. Maybe I was. Reading and learning is the best defense against excessive grumpiness. So many people I know feel overwhelmed by the Republican takeover of state and federal government. To deal with the aftermath of the election I read — an hour or two each day — from words printed on paper. There are few other things so helpful in sustaining a life in a turbulent world. This entry was posted in Home Life and tagged Books, homelife. Bookmark the permalink.